Pyromet is proud to be a supporting member of the following organizations. The BBB is a non-profit organization focused on bettering the consumer marketplace by offering customers the opportunity to provide input on products and services provided by an organization. NAID® is the international trade association for companies providing information destruction services. NAID's mission is to promote the information destruction industry and the standards and ethics of its member companies. Vision Imaging Partners, Inc. was established to perserve the independence and integrity of radiology services and supply companies through a nationwide network of members dedicated to common goals and strategies for the future. The National Association for Surface Finishing (NASF) is a trade association whose mission is to promote and advance a sustainable future for the North American surface finishing industry. MJSA is the trade association that provides the jewelry making, design, and business know-how needed to achieve professional excellence. The International Precious Metals Institute (IPMI) is the largest and most well known association focused on precious metals in the world. IPMI is an international association of producers, refiners, fabricators, scientists, users, financial institutions, merchants, private and public sector groups, and the general precious metals community formed to provide a forum for the exchange of information and technology. IPMI seeks and promotes the efficient and environmentally sound use, reuse, and recycling of precious metals from both primary and secondary sources. IPMI conducts educational meetings and courses and serves as a primary resource for information for the public, industry, and government agencies worldwide. IPMI recognizes excellence and achievement through awards to individuals and educational institutions. The Silver Users Association is a non-profit organization that was established in 1947 to represent the interests of companies that make, sell and distribute products and services in which silver is an essential component. As an institution, the College prides itself on innovation. Founded in 1964, the College has grown with the community to meet the lifelong learning needs of Montgomery County. Known for its academic excellence and based on the successes of more than 30,000 alumni, the College is ranked first in the nation in its use of technology by the Center for Digital Education for 2008, 2009, and 2010. 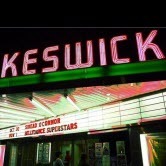 The Keswick Theatre first opened its doors on Christmas Night, 1928. Nationally recognized as the most comfortable, acoustically perfect listening room in the entire Philadelphia market. Today the Keswick is one of the Central Atlantic states' most active and diversified venues, presenting internationally-acclaimed performers geared to virtually every taste and interest. Pyromet is a proud supporter of the Keswick Theatre.